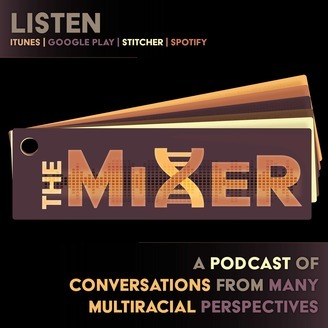 Mixer (Legal to Brew Since 1967) is a podcast started in 2017. 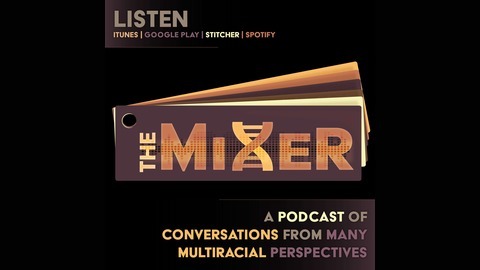 We present conversations about life experiences, current events, politics, nerdom, pop culture, and more through the lens of various multiracial and multi-ethnic viewpoints. Every conversation we’ve had thus far has provoked personal introspection, deep conversations, unintentional group therapy, and creative works. We invite you to join us in this conversation — bring your questions and your listening ears. Our group is composed of people from various cultures, faiths, genders, sexual orientations, and disabilities. Some of us were raised to be a part of one culture, others were raised to pass as white, others weren’t entirely sure who they were supposed to be. This isn’t about promoting the one way to be as a multiracial person. It’s about promoting thoughtful examination of the stories that make us who we are. Audra Harvey interviews Tavius and Ashley Marshall about their trip to Chicago's own WakandaCon. They discuss their first experience with a POC nerd convention, and more nuances of being a nerd while POC. Glasses Up! Bonus Episode: A Mixed Feeling. Episode 2: A Mixed Discovery.